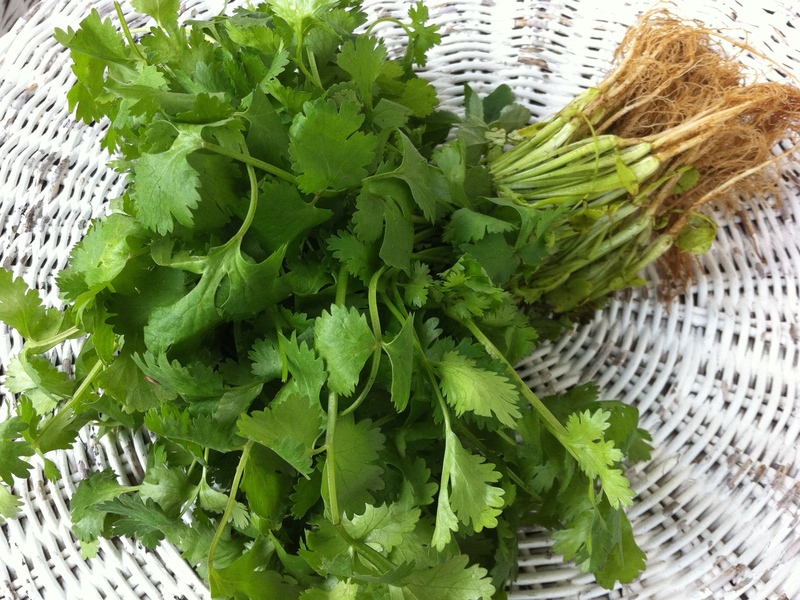 The pungent cut-grass cat-pee character of coriander/cilantro leaves offset with an intriguing lemony metallic undertone, flavours foods around the globe. It’s not the easiest herb to grow because in warm weather it tends to bolt and go to seed – a good thing if you want to harvest the seeds, but a bother if it’s the leaves you are after. The trick? Keep it well picked and encourage it to grow into a sturdy plant rather than a tall spindly one. And grow it in a shady spot rather than in full sun. The long tapering root of the plant contains a lot of flavour. Scrub then slice, chop, mince or pound and use in pastes, curries or soups. The roots can be stored in a sealable bag in the freezer.